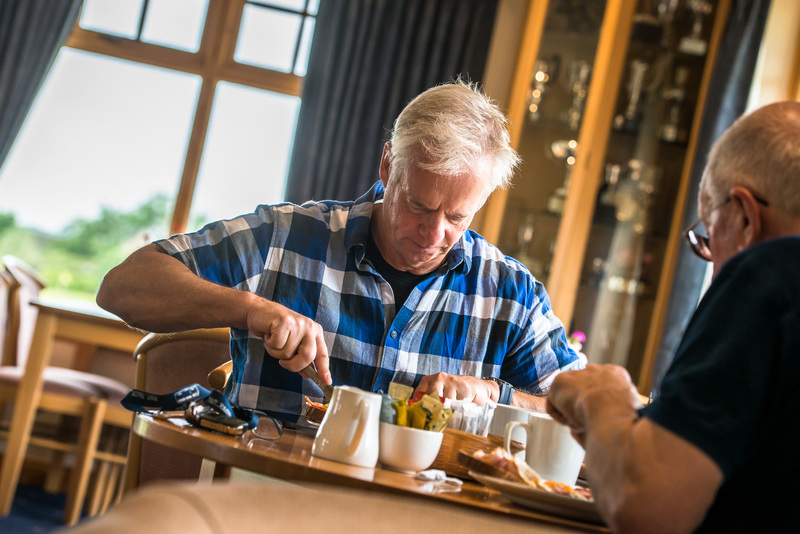 Our 10,000 sq ft clubhouse is spacious, modern and designed for golfers, with a traditional Spike Bar adjacent to the large, open-plan Main Lounge. 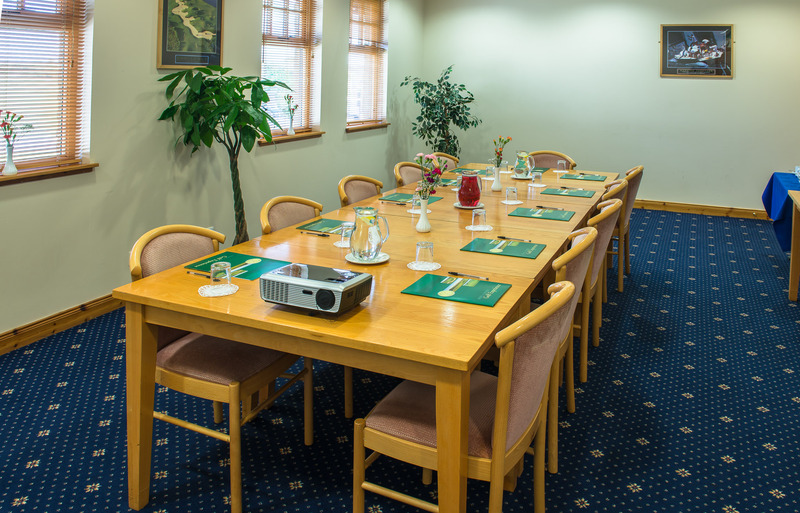 Walking past the Pro Shop you will find our peaceful Conference Room to the right, a quiet space ideal for small meetings and golf societies. Around the corner are our attractive changing rooms and shower facilities, and to the left is the entrance to our Bars and Restaurant area. Outside we have two attractive Patio areas, one of which is particularly secluded and shaded. 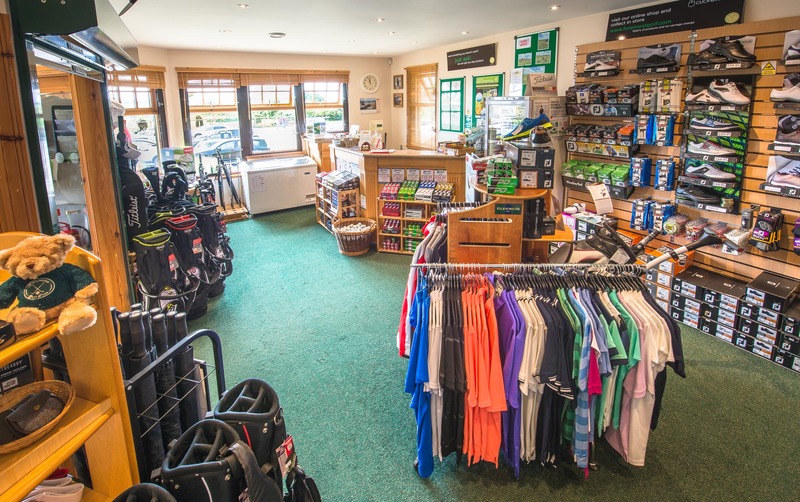 Kirtlington Golf Club offers full Disabled Access throughout. 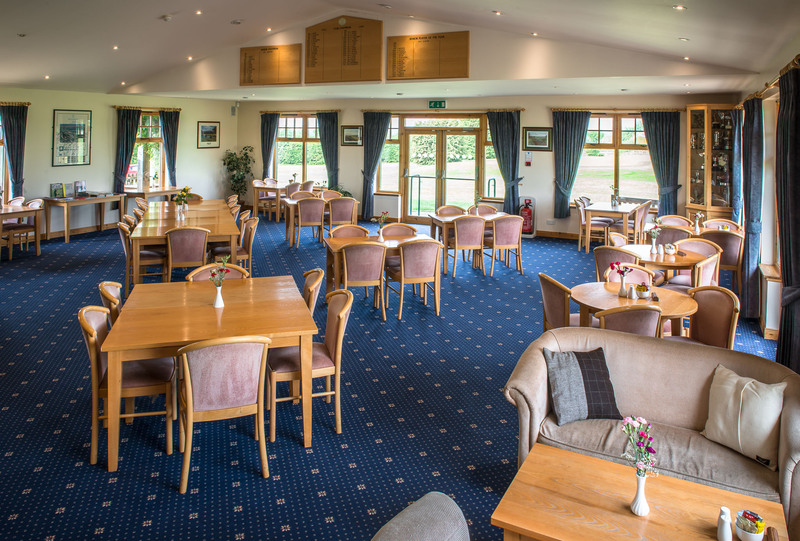 At Kirtlington’s heart is the Main Lounge, which seats up to 100 people in comfort. Light and airy, the space has a conservatory feel with large windows on three sides and exits to our two patio areas. The club trophy cabinets and honours boards look across a 40x40ft room, with snacks and drinks available at the well-stocked bar. There’s plenty of space for banquets and formal functions, as well as lively social events. 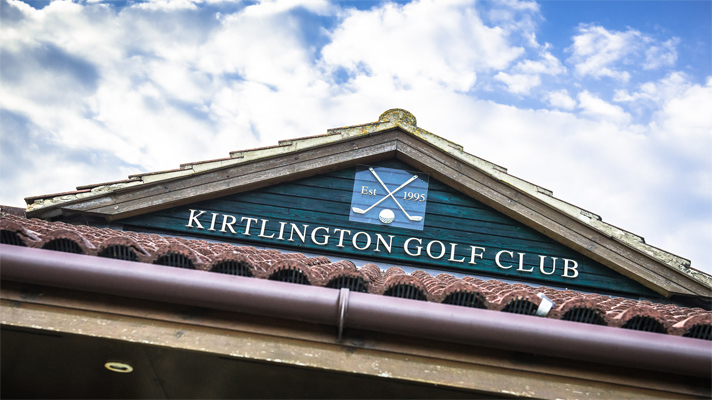 Adjacent is Kirtlington’s welcoming Spike Bar, where golfers cluster before and after their rounds. All meals are prepared by our own resident Chef.